One of the most important of the jobs that we handle as professional plumbers is leak detection. 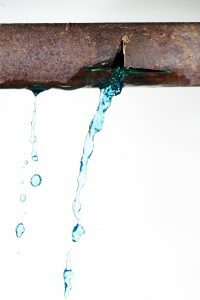 At first, you might think that this isn’t that crucial of a task: you can find leaks by simply looking for where water is dripping from someplace it shouldn’t, right? But consider your entire household plumbing system. How many pipes are hidden from sight behind drywall, in floorboards? Most of them. And if your home has a concrete foundation, there are also pipes set down in that as well. It’s not easy to tell if there’s water leaking from these hidden pipes until a large amount of damage has been done and gallons of water have been wasted. Plumbers have the tools and training required to pinpoint the covert leaks and get them fixed. 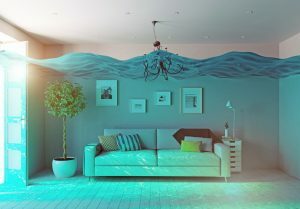 Posted in Plumbing | Comments Off on How Does Leak Detection Work? Last week, we wrote about why you shouldn’t use chemical drain cleaners to get rid of clogs and instead call on professional plumbers. But this brings up an important question: How do plumbing professionals take care of the job? If you’ve ever looked under a sink or other plumbing fixture in a house, you’ll have noticed that the drain pipe has an unusual bend to it, a “U” shape, beneath the drain. If you’ve ever wondered what that peculiar bend in the drain is for, we have the answers for you here.